The Medical Library was housed with the Personnel Office at the East Campus. This black and white photograph shows Dr. Nathaniel Uhr, Neurologist, seated at the table. 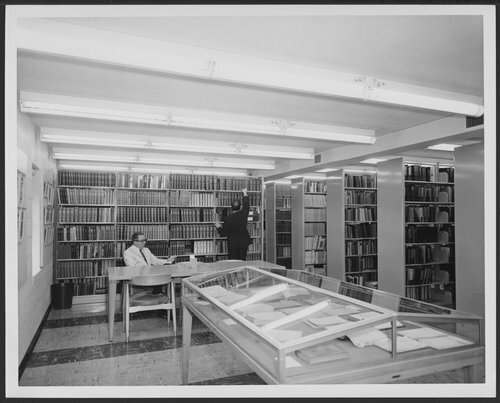 The library began with the personal collections of Dr. Karl and Dr. Will Menninger with the firm belief that the library is an important part of the Menninger organization devoted to treatment, training and research in mental illness.